What comes to mind when we think of limoncello? It’s the tasty, yellow Italian liqueur made from lemons. When we think of limoncello, we also think of labor-intensive, time-consuming and meticulous. And that is true indeed. However, for us who do not like waiting, there is a possible solution to make limoncello in less time. How is it possible and what is the solution? Sous Vide Limoncello Recipe. This your solution for a quick limoncello. Your sous vide limoncello recipe will not take weeks. It will be ready in hours. Sous vide (pronounced sue-veed) which means “under vacuum” in French, is a cooking technique in which food is heated at a consistent temperature in a water bath. In the US, it is called “Cryovacked.” Because we can control the heat precisely, we can predict the result exactly everytime. The process of the traditional cooking method includes a burner and pan, wherein the heat flows from the burner to the pan. The way the heat flows in traditional cooking is from the source of heat (burner) to a pan and then into the food. Because the metal of the pan and the air in the oven are much hotter than how you want your food, then take it away from the heat at just the right time. Take it off too early or too late and your food is either under or overcooked. But when cooking with water instead of superheated air or a pan, you can raise the temperature just enough to get the food to the exact doneness we prefer. Once it is up to temperature, we can pretty much just leave it in the bath until we’re ready to eat perfectly cooked food. Sous vide is a seemingly magical cooking technique for high-end chefs, but actually just cooking food with water. Bruno Goussault first developed this cooking technique in 1971 when he was looking for a way to make the roast beef more tender. This process was created by Georges Pralus in the 1970’s for the restaurant in Roanne, France. He was looking for a way to cook foie gras since it loses 30 to 50 percent of its weight when cooked. Cooking in sous vide involves placing the food in a pouch to create a “second skin” then immersing it in a water bath for a sequence of accurate temperatures and times. Cooking in water is the best way to transmit the heat. Additionally, to cook in water, the food has to be protected. The protection or second skin that is being used is plastic. Air needs to be removed and the package has to be vacuum sealed. Cooking sous vide eliminates guesswork in the kitchen. Thanks to the controlled temperature food is never undercooked or overcooked. Because you can control temperatures, the cooking allows you to create more textures that aren’t possible with traditional cooking methods. Foods that are slowly cooked releases more intense flavor. There are many ways to love sous vide and cocktails is definitely one of them. It minimizes the amount of shaking, stirring, and straining with one handy little tool. And in this case, you can make limoncello in only three hours. That’s our kind of recipe. 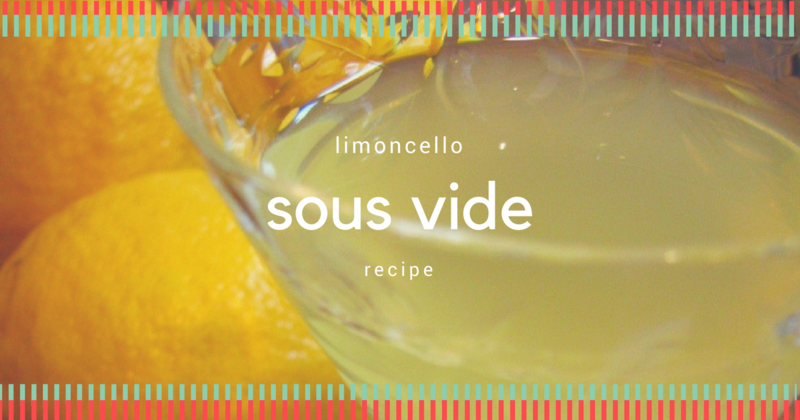 With sous vide, you can easily make limoncello. All you need to do is to put all the ingredients in a bag, set the cooker and forget about it. 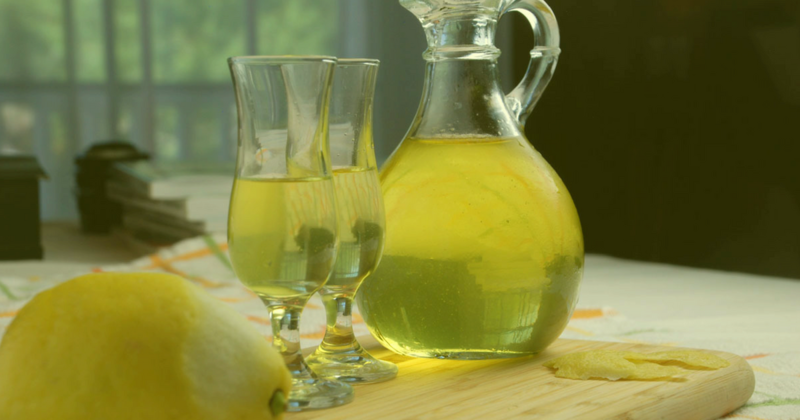 By following the traditional limoncello recipe can take weeks to fully extract the flavors of the lemons. 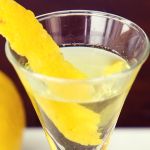 This sous vide Limoncello recipe will give you an absolutely tasty liquor in less time. Typically, making Limoncello is a lengthy process, as the lemon peel is steeped in vodka and simple syrup for up to three months. But with sous vide, you can make professional quality Limoncello in just three hours! Raising the temperature of the mixture to 130°F allows for this ultra-fast infusion. Traditional limoncello preparation needs at least one month to soak in order to achieve its ultimate flavor. If you’re just like us and do not like the waiting game, then sous vide is for you. This genius method allows to speed up the entire process without compromising the quality. Leaving the limoncello to simmer low and slow in sous vide allows for the lemon to incorporate in the vodka and maintaining a high alcohol content. It’s like a wonderful dream come true. Fill your sous vide cooker with water and preheat to 135F/57C. Using a sharp kitchen knife or vegetable peeler, peel the lemons to remove the zest. Be careful not to peel too deep or you'll include the pith. You can remove the pith by scraping them gently. Place the lemon zest into a large ziplock bag. Add the vodka. Cook it for 2 hours. Place the sugar in a saucepan with water. Bring to a boil over medium heat. Stir once in a while to allow the sugar to dissolve completely. Once the cooking time has passed, strain the mixture into a pitcher. Add the sugar mixture to it and stir to have all the ingredients incorporated well. Pour the limoncello into bottles and chill in the freezer before serving.